Editor’s Note: If you binge-read today’s headlines, you might think the nation’s civic bonds were irreparably broken. In the piece below, we rewind the tape 230 years — to a point when this country, a dead-broke confederation of 13 quarrelsome states, really was on the verge of coming apart. The problem of the day was: How much freedom should those states have? Harvard Business School professor David A. Moss has developed a hugely popular course that applies that institution’s celebrated case method — which highlights the challenges facing business executives — to pivotal episodes in American history. In the case below, Moss is asking: If you were James Madison, or one of the other delegates in Philadelphia, what would you have done? Especially amid the turmoil of today’s politics, it’s useful, even vital, to step back from the news and contemplate the fundamentals. In that spirit, Moss will lead a public discussion of this case at Faneuil Hall on Wednesday, Oct. 11, as part of the upcoming HUBweek festival. You can register at BostonGlobe.com/IdeasOutLoud. We invite you to join this conversation. On June 8, 1787, at the Constitutional Convention in Philadelphia, delegates from across the United States began discussing a curious proposal to expand federal power over the states. James Madison of Virginia had suggested that the new constitution include a “federal negative,” which would give Congress the authority to veto any law passed by a state legislature. He viewed this as a critical safeguard against unchecked power at the state level. Opponents charged that Madison’s federal negative would allow Congress to “enslave the states” and let “large States crush the small ones.” Indeed, the question of how much power — and what types of power — to vest in the federal government went to the very heart of the debate that unfolded in Philadelphia that summer. Sharing Washington’s frustration and embarrassment, James Madison came to believe that the economic and social turmoil plaguing America in the mid-1780s could be traced to defects in the Articles of Confederation, which had been adopted as the nation’s governing document in 1781. What was needed, Madison argued, was an entirely new constitution that would create a strong but limited central government with well-defined powers, including the power to veto state laws. Whether Madison could persuade his fellow delegates at the Constitutional Convention was far from clear, but there could be little doubt how much was at stake as the new nation struggled to find its footing in Philadelphia. As early as 1775, a number of political leaders, including Benjamin Franklin, had suggested that the authority of the Continental Congress should be grounded in a written constitution. Lawmakers began working on such a document in June 1776, based on the general understanding that the states would be left to manage their internal affairs while Congress would handle foreign affairs. Several significant points of contention emerged during the drafting process, however, including whether more populous states would have more votes in Congress and whether slave populations would be counted when calculating each state’s share of wartime expenses. Lawmakers ultimately resolved their differences by agreeing that each state would have one vote in the unicameral Congress, war expenses would be distributed based on the value of each state’s land and improvements, and Congress would not manage state boundaries or western lands. Representatives finally completed drafting the document, called the Articles of Confederation, in mid-November 1777. The Articles, which announced that each state “retains its sovereignty” and that together the states would form “a firm league of friendship with each other,” vested limited authority in a national Congress without creating either a chief executive or a judiciary. Specifically, the Articles conferred upon Congress the authority to borrow as well as the exclusive power to declare war, to enter into treaties and alliances, to settle disputes between the states, to regulate weights and measures, and to oversee a national postal system. Nowhere, however, did the Articles grant the national government superiority relative to the states or the means to compel them to follow its laws. While permitting the various states to collect taxes and impose tariffs, and requiring the federal government to honor its war debts, the Articles did not grant Congress the power to levy taxes. Although the articles were ratified in 1781, and American forces secured a major victory at Yorktown that same year, the struggle to establish a viable nation had only just begun. Congress had accumulated $27 million in debt during the war. Yet under the Articles it was unable to impose national taxes or force the states to provide funds. In fact, in 1781, Congress collected only $422,000 of $5 million requested from the states, with no contribution at all from Georgia, North or South Carolina, or Delaware. The states frequently flouted the Articles in other ways — for example, by enacting laws that discriminated against out-of-state merchants. As a case in point, New York laid heavy duties on New Jersey and Connecticut merchants who shipped their products to New York City, provoking retaliatory sanctions from the affected states. In fact, numerous states had begun imposing tariffs on their neighbors, dramatically impeding interstate commerce. Amid such political turmoil — and perhaps in part because of it — the American economy soon took a turn for the worse. Historians continue to debate the extent of the economic downturn in the mid-1780s, but nearly all agree that it was a difficult period. The most pessimistic estimates suggest that per capita GNP fell by more than half. If these extreme estimates are correct, then the economic collapse in the mid-1780s could have been even worse than that experienced between 1929 and 1933 (the worst phase of the Great Depression). One consequence of the downturn was that many individual debtors found it difficult to make good on their obligations. Compounding their woes, the federal government and a number of states had fallen behind on paying their own debts, leaving many former soldiers who had accepted bonds and certificates as payment for their wartime service in a tough financial squeeze. Many of these former soldiers had no choice but to sell their government certificates to speculators at deep discounts. With countless farmers in financial trouble and petitioning for debt relief, several state legislatures responded around 1786 by issuing substantial amounts of paper money, thereby allowing debtors to repay their debts in inflated currency. Rhode Island took the policy to its logical extreme, inducing rapid inflation and imposing penalties on creditors who refused to accept payment in the sharply depreciated paper money. Within a year, Rhode Island’s paper dollar was worth only 16 cents in gold. In contrast, neighboring Massachusetts remained committed to both fiscal and monetary conservatism. The state legislature raised taxes to repay its debts and resolutely avoided a policy of inflation. The resulting pressure on small farmers was enormous, and many lost their property in court-ordered foreclosures. One former Revolutionary officer, Daniel Shays, was so angry about the plight of farmers that, starting in the late summer of 1786, he helped to lead a growing rebellion in Western Massachusetts, its ranks eventually surging to over 2,000 men. In the minds of many Americans, the crisis in Massachusetts epitomized all that was wrong with the new confederation. Economic elites who had never been very comfortable with the idea of broad-based democracy wondered whether they were headed for a future of class warfare — and even mob rule. 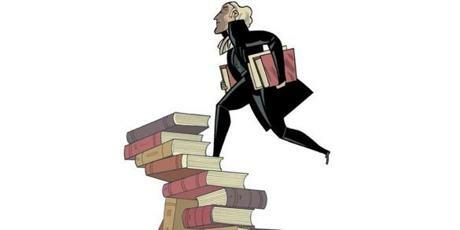 In March 1784, Madison asked his friend Thomas Jefferson, then in Paris on a diplomatic mission, to send him whatever books “may throw light on the general Constitution & droit public [public law] of the several confederacies which have existed.” Madison reasoned that by understanding why past confederations had succeeded or failed, he could better identify what ailed the American confederation. By January 1786, he had received two trunks of books in English, French, and Latin at Montpelier, his family’s plantation estate. Sitting in his library, Madison began working through the books, conducting a thorough historical review spanning thousands of years. The confederations he surveyed ranged from the Amphyctionic and Achaean confederacies of ancient Greece to the Belgic confederacy in the Netherlands (also known as the United Netherlands), which was still in place in the 1780s. Madison took careful notes on each confederation’s structure and operations, specifically commenting on the deficiencies he perceived in each. He noted that several confederation governments had been unable to control their members. For example, he pointed out that Athens and Sparta had waged their many wars against each other while co-members of the Amphyctionic confederacy, despite the federal authority’s prerogative to mediate such conflicts. In particular, he faulted the Articles of Confederation for denying the national government the capacity to enforce its policies. The authors of the Articles, he wrote, had trusted too much “that the justice, the good faith, the honor, [and] the sound policy” of the state legislatures would obviate the need for such enforcement power at the federal level. The states had regularly failed to pursue “concert in matters where public interest require[d] it,” especially in setting uniform commercial policies. Instead, they had passed laws to limit interstate trade or to support debtors at the expense of out-of-state creditors, which pitted states and citizens against each other. Madison suggested that small republics, with less competition among political groups, were more vulnerable to this problem of tyranny of the majority. In large republics, by contrast, “[t]he Society becomes broken into a greater variety of interests, of pursuits, of passions, which check each other, whilst those who may feel a common sentiment have less opportunity of communication and concert.” With diverse factions tempering each other’s influence, he suggested, a larger republic’s legislature would enact sounder and fairer policies. As a further check on the states, Madison proposed that Congress hold a veto over state laws “in all cases whatsoever.” He believed that this veto, which scholars call the “federal negative,” was essential. An emerging national “consensus” for constitutional reform would soon give Madison the chance to present his ideas on a national stage. In February 1787, Congress formally called for a new convention in Philadelphia “for the sole and express purpose of revising the Articles of Confederation.” The convention started on May 25. Much of the early debate in Philadelphia focused on questions pertaining to the structure, authority, and makeup of the new federal government, as well as to the federal government’s role vis-a-vis the states. Against this backdrop, Madison’s proposal for a congressional veto over state laws — his “federal negative” — finally took center stage at the convention on June 8. While his original proposal would have applied in “all cases whatsoever,” Madison’s Virginia colleagues had included a narrower version in the Virginia Plan that limited Congress’s veto only to state laws “contravening in the opinion of the National Legislature the articles of Union.” The convention had assented to this more limited federal negative early on and without argument. On June 8, however, Charles Pinckney of South Carolina suggested extending the veto to “all laws which [Congress] should judge to be improper,” in line with Madison’s original conception. Pinckney judged the absolute approach that he was proposing to be “the corner stone of an efficient national Government,” without which Congress would prove unable to enforce its policies. Gerry suggested that the negative might dissuade new states from joining the Union, and Delaware’s Gunning Bedford worried that the more populous states, which would have greater influence in Congress, might use the negative to impose their will on smaller states. With both sides having made their case, the proposal was finally put to a vote at the end of the day’s session on June 8, 1787. Whether Madison’s notion of an absolute federal veto over state laws would live or die was now up to the 55 delegates who together comprised the Constitutional Convention in Philadelphia. David A. Moss, a Harvard Business School professor, is the author of “Democracy: A Case Study” — which includes this case and 18 more. Marc Campasano is a former Harvard Business School research associate. This piece is condensed from “James Madison, the ‘Federal Negative,’ and the Making of the US Constitution” by David Moss and Marc Campasano (case # 716-053) © 2017, 2016 President and Fellows of Harvard College.